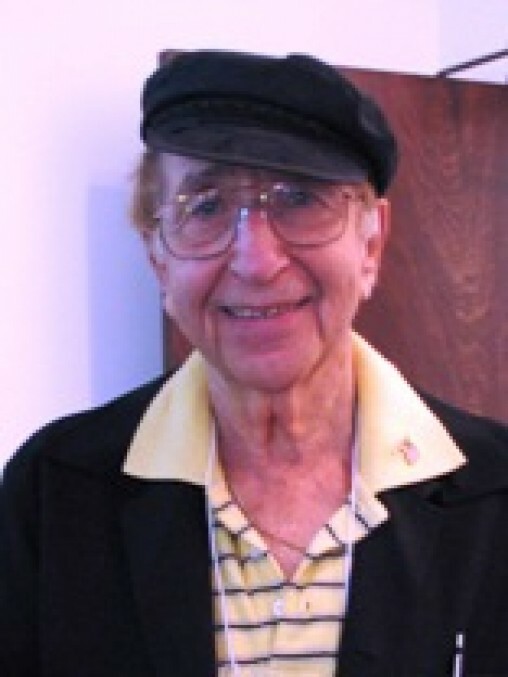 Survivor of Auschwitz/Buna prison number 104954. I was born in Dresden, Germany, on December 9, 1924, into an upper middle-class household. Until the age of ten, a nanny and maid looked after me. My father Martin Jaffe’s furniture department store was in the family for over 100 years. My mother, Magarethe Flasch Jaffe, performed as an opera star and concert pianist. My school years were filled with Nazi theory. As the only Jew in my class, I had to defend my religion against anti-Semitic schoolmates. In 1937 I watched my Polish Jewish friends being forced onto trucks and trains to be deported back to Poland. On November 9, 1938 I witnessed Kristallnacht, the burning of the Dresden Synagogue and the vandalization of Jewish-owned stores. My father was a proud, strong man, with a military background. He was arrested and imprisoned during Kristallnacht, as most adult Jewish males were. He returned to us a broken man. Our furniture store was boycotted by Nazi decree. Near bankruptcy, our family store was taken over by the Nazi competitor across the street. At this time my family had tried to emigrate, but could not secure enough visas for the whole family. In 1940, I was ordered to appear at Nazi headquarters to be disciplined for obscuring the yellow Star of David which all Jews were required to wear. In 1941, I was a forced laborer at the Zeiss Ikon Goehlewerke factory, assembling munitions. Weekends we had to clean blood-stained railroad cars that had returned from the Russian front with wounded Nazis. Within six months, in 1942, my aunt, uncle, and their teenage sons were deported to Riga. My parents and grandparents were deported to the Theresienstadt ghetto, never to be seen again. I was orphaned at age 18. By the fall of 1942, all Jews were relocated from the Jewish ghetto to Hellerberg-Dresden, Zeiss Ikon’s forced labor camp. In February 1943, we were deported to Auschwitz. I was trucked to IG Farben Hoechst’s death camp in Buna, Poland, a satellite camp of Auschwitz, where I performed heavy construction labor. Within four weeks I was sick and dying of starvation. Through a series of unusual circumstances, I was able to be transported to the main Auschwitz camp. By 1944, with luck, skill, and ingenuity, I got better positions as an SS house painter, wagon driver, and photo lab technician. My life was spared from going to the gas chamber on three different selection days, due to the kindness of privileged Christian prisoners who saved me. In January 1945, Auschwitz was evacuated. On a death march for two weeks, thousands froze to death. We were then put onto open coal railcars with no food; hunger drove some to cannibalism. Our transport eventually stopped on bridge in Dresden. I saw the Allied carpet bombing on February 13, 1945. After brief stops at Gross-Rosen, Dachau, and the forests of Bavaria, I was liberated, barely alive, in May 1945, by General Patton’s Third Army. I weighed 80 pounds. I was nursed back to health by caring nuns and a POW Nazi doctor at a Benedictine cloister. I spent the next few months in the Feldafing and Zeilsheim Displaced Persons Camps. Because I knew some English, I became an English interpreter for the American camp commander, and for U.S. Counter-Intelligence Corps which was searching for Nazi war criminals. This same camp commander, Sylvan Nathan, was the man responsible for bringing me to the United States. A year after arriving in the United States, I married my American sweetheart, Rose, in 1947. In 1949 I became an American citizen. Schooled as a commercial artist, I enjoyed a career as a graphic artist in L.A., retiring to Santa Barbara in 1970.